Ends tomorrow, Humble Store has Steam copy of LEGO Lord of the Rings for free. You just gotta subscribe to their newsletter in exchange. No Steam cards as far as we can tell but it's still a fun game to pick-up. The average price for this game since released is $7.60. The game first became 50% off on Dec 23, 2012 at Green Man Gaming. Lowest historic price was $3.60 on Oct 13, 2017 at Green Man Gaming. There is a problem with the GMG credit card merchant, denied every card in my wallet as well as my SO's. Very frustrating, but I was able to charge my card through PayPal and get it to work. My iPhone was a victim in this frustration, RIP. If you dig LEGOs and want to relieve the LOTR trilogy, this game's a cheap and easy way to do so. Very well-received by critics and casual gamers alike. Like War in the North, within a dollar of the lowest price we've ever seen. LEGO LOTR down to $5 on the PC. Makes a new low by $1 and $15 off the usual $20. You buy through GameStop, but the title activates on Steam. Lowest price we've seen on LEGO LOTR in two months. GameStop's $10 instant savings discount stacks with their 25% off coupon. A solid $12.50 price drop off the usual $20. Activates on Steam. LEGO LOTR is on sale again at GMG, this time lowest price ever for this Steam activated version. GMG must have noticed everyone loves LEGO - ANYTHING games and is going through the entire franchise, discounting them on a day to day basis. At $6, this is a pretty good price for a solid co-op game. The average price for this game since released is $29.49. The game first became 50% off on Mar 5, 2013 at Groupon. Lowest historic price was $9.99 on Jul 11, 2014 at Microsoft. LEGO Lord of the Rings for Xbox 360 and PS3 down to $20 at Amazon. This is the lowest price ever for both platforms. Next best price online is $30 at Best Buy. Today only Groupon has a special on the PS3 and Xbox 360 versions of LEGO LOTR for $23.99 with free shipping. 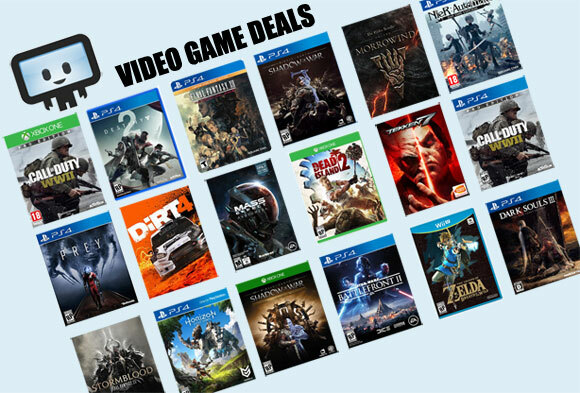 That's cheapest ever by $6 for the consoles and $11 off the next best price online of $35. The average price for this game since released is $26.54. The game first became 50% off on Nov 23, 2012 at NewEgg. Lowest historic price was $9.99 on Oct 15, 2013 at GameFly. The average price for this game since released is $25.82. The game first became 50% off on Nov 23, 2012 at NewEgg. Lowest historic price was $9.99 on Sep 17, 2013 at NewEgg. The average price for this game since released is $33.39. The game first became 50% off on Mar 5, 2013 at Groupon. Lowest historic price was $14.99 on Jul 8, 2013 at Amazon. Today is the last chance to pre-order LEGO Lord of the Rings at NewEgg. This is the best pre-order deal we've seen on it so far and I wouldn't expect to see it this cheap until well after the Oct. 30th release date. Elsewhere you'll pay the full $50 list price. The average price for this deal since released is $20.38. Lowest historic price was $11.99 on Jul 1, 2013 at Best Buy.